There are a million ways a party can have the messiest aftermath it can ever get. And you wouldn’t have to guess how hard it is to clean off whilst having a hangover. But do you know what the worst part is? There’s no way to preclude the mess. You will always need after party cleaning Perth right after a night of the bizarre and wild event. So, since you’ll be spending heaps of time and effort to prepare for it anyway, why not prepare for the mess while you’re at it? Stay on top of things. And manage the mess to expect less cleaning necessary when morning comes and you’re hungover—too tired to even muster the strength to get yourself a cup of coffee. A clean venue sends a clear message. It tells your guests— “straighten your act and keep me clean just as when you found me”. So, a day before your event, be sure to deep clean the venue. And make sure that there are enough rubbish bins everywhere. So, everyone will easily find them during the party. Although there is the consideration that any drunk person can’t be totally expected to clean up after themselves, at least you can somehow hope that they’ll clutter less whilst they’re sober. This way, they’ll be less tidying up needed for the after party cleaning Perth. Being the host and the responsible personnel for the chaos that will unfold during and after the night, you can assume responsibility for the slight clean-ups that has to be done during the event as well. Yup, after party cleaning Perth does necessarily mean that you’ll have to do it after the whole thing. You can actually do some tidying up and decluttering as much as you can—while you can. Because it will then be hard to do it when all the booze and alcohol starts settling in your system too. Alternatively, you can also announce clean-up guidelines for your guests as well. Let them know the whereabouts of your rubbish bins and how they can clean up after themselves. It may sound inappropriate, but conversely, unless they are the Governor General or the queen of England—a small tidying up after themselves wouldn’t be too much to ask. As aforementioned, you can give your guests some guidelines for cleaning up during the party. So, you will not have to stress with an extended after party cleaning Perth later. Aside from the rubbish bins, you can have trays for the guest’s dirty dishes. Additionally, make sure that you scatter the rubbish cans evenly throughout the house so your guests will not find it difficult to clean up for themselves. Regardless it’s before after party cleaning Perth it’s irrelevant, you will definitely need your tools. 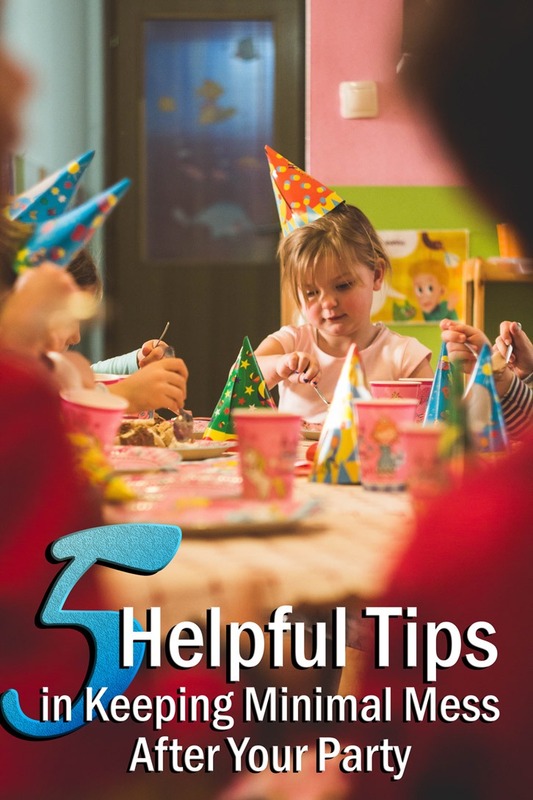 During the party, food may be spilt or thrown, or kids may litter uncontrollably so it will be really beneficial for you if your cleaning tools are just within reach. And so, with after the event, if you can still muster the strength to tidy up, it would be best to save it for the clean up than waste it looking for the tools. When all your strength is drained, and you’re probably hungover, you can still initiate minimal after party cleaning Perth tidying-ups. Just so, when the cleaner arrives they will not have to bother you much longer with all the noise and ruckus of clearing up the mess. Affordable house cleaning services are just right around the corner after all. So, the budget is not really a valid reason to justify living with the mess whilst your hungover. Make sure that there is less cleaning left for the cleaner so you can kick them out in no time after they clean your place. And have a peaceful hangover till your sober again. Also, if you are looking for tips and insights from the pros in how to deal with your mess after a party, then check out our article Quick and Easy House Cleaning Tips: When You Just Got a Party. This entry was posted in House Cleaning and tagged After Party Cleaning, Deep Cleaning, house cleaning tips, Maid in Perth.